An individual, personalised skin treatment with the emphasis on skin health and preventative care, rather than fake miracle cures. Based on your face mapping analysis, I'll design a customised skin treatment that will target your skin's individual needs, right on the spot! No prefabricated selection of services, just one Dermalogica treatment that's different every time. Discover how to achieve healthy glowing skin with a complimentary in-depth skin analysis and your bespoke skin fitness plan. Discuss your key concerns and gain insight on your skin. This express seated treatment is your ticket to glowing skin in a flash. Let your experienced skin therapist show you professional hacks that get you the max in healthy skin. Ideal if you are new to skin treatments, need a skin pick-me-up or before a special event in between your regular treatments. The ultimate Dermalogica experience, customised with advanced products, techniques and technology in a sensorial environment made for relaxation. Completely personalised to your skin and different every time. Experience the amazing results of a powerful skin resurfacing peel. Skin is left looking incredible, fresh, healthy while feeling smooth and calm. No downtime, no irritation. Ideal for those who have more serious skin concerns regarding ageing, breakouts, pigmentation and hydration and want to see dramatic results. An advanced therapy that can be added on to any of the above skin treatments for enhanced results. LED is used to stimulate collagen and plump up fine lines, calm Rosacea and is fantastic for treating acne as it targets the P Acne bacteria that live on the skin and cause breakouts. 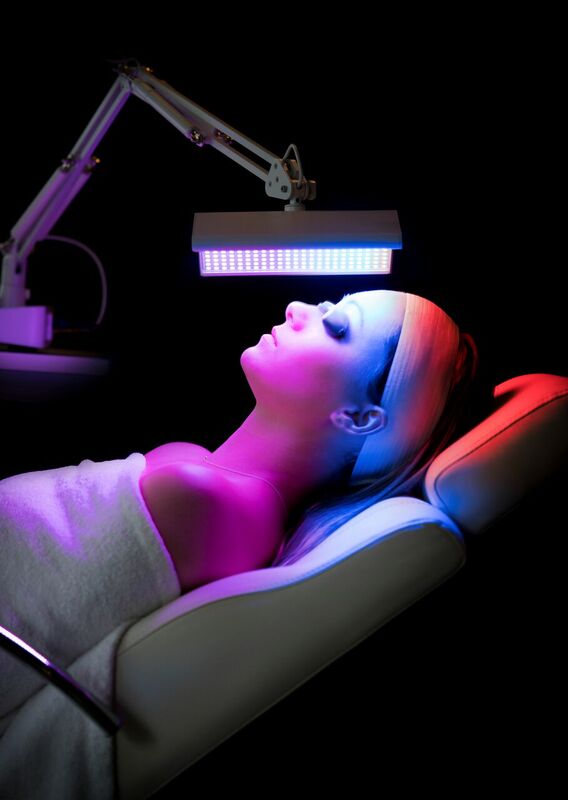 LED Light Therapy can be added to any of the above at a cost of £10 for 15 mins.